The Hoyer marine brake motor is designed specifically for demanding marine and offshore applications. Perfectly matched components are the foundation of the modular Hoyer design. By using our IE2 marine motors as the backbone of the design elements such as quality, documentation and fast deliveries are ensured. Together with the high protection marine brake from Stromag and a Kübler encoder developed for harsh conditions the brake motor is ready to meet the highest expectations. 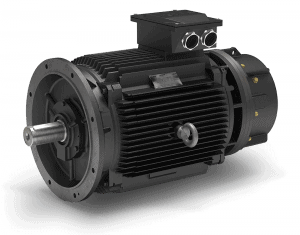 The marine brake motors are type HMC2 and always in cast iron execution size 132-355. If you have any questions or enquiries please get in contact with us. We are experts in customised solutions and ready to support you with data and drawings for your next project.